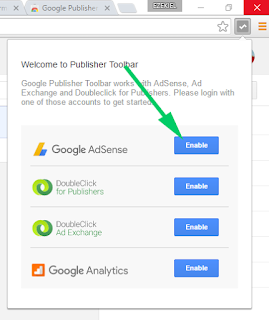 If you have not activated the AdSense Publisher Toolbar you install in your Chrome browser, then installing it will make no difference because it will not be functional. The guide below will how you how to activate it. The AdSense Publisher Toolbar is a toolbar and not an extension or app, so it icon will always appear in the toolbar of Chrome. Note, it will not replace the existing toolbar, it will only add it's icon to the toolbar when you have installed. The icon is similar to the image at the beginning of this article. 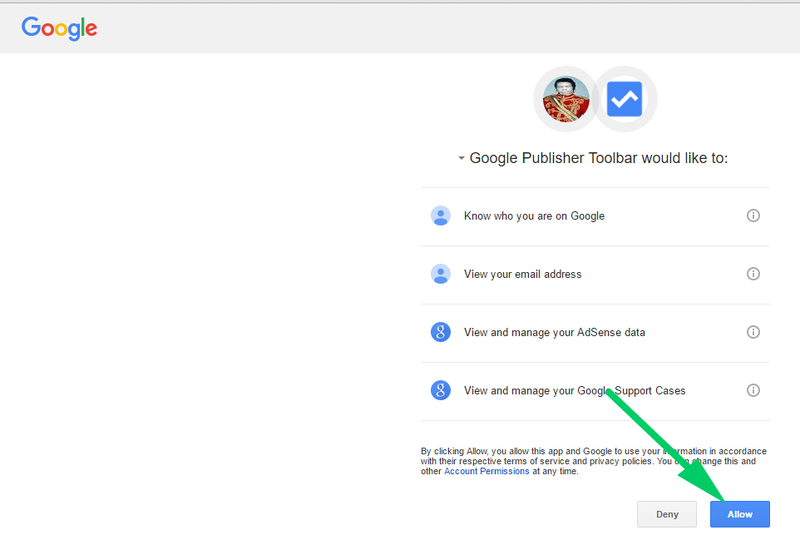 In the menu that appears click on the Enable button next to Google AdSense. Since it is AdSence we want to enable it for. Once you have click on it, it will that you to the Permission page where you grant it permission to start functioning. 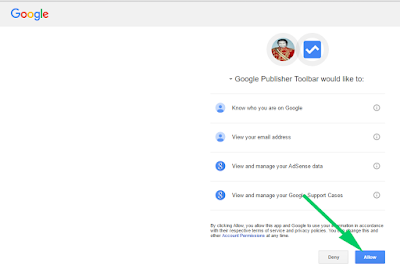 Note if you have not signed into Chrome, it will take you first to Google sign in page, Please sign in with the Google account associated with your AdSense account. The permission page looks like the image below. Why Are There No Overlay On Ads In My Site After I Installed The AdSense Publisher Toolbar In Chrome? Join our newsletter for more content.